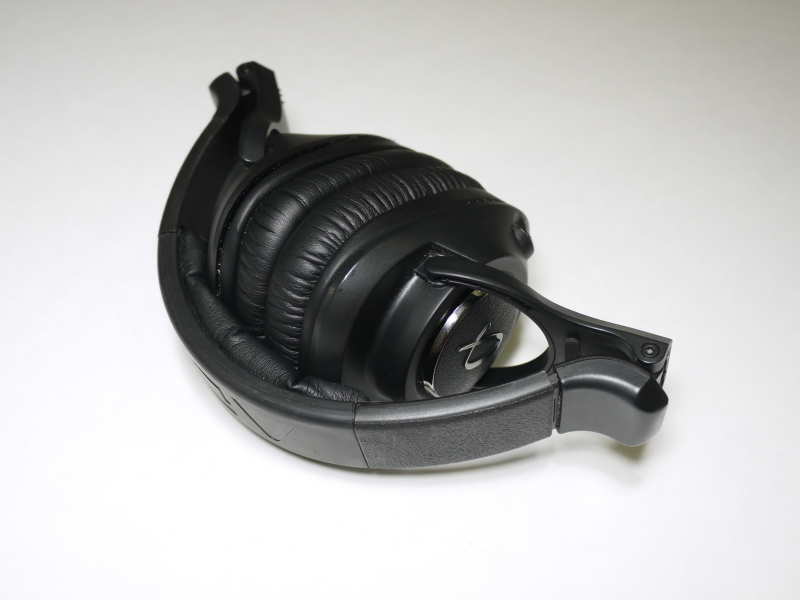 Build Quality (9.5/10): The ADL H118 is a circumaural, closed, collapsible headphone. The unit is made of heavy plastics with a textured finish in places and feels very solid. The unique elongated earcups are a little on the large side, but the headband is tucked in, which makes the headphones look more compact on the head. The cable is single-sided and detachable, with a locking mini-XLR connector. At 3m in length, the stock cord is not designed for portable use, but can be coiled and pocketed if necessary. The beefy Furutech 3.5mm plug is stepped at the front, which makes it usable with even the thickest smartphone cases; many portable headphones could take a lesson here. A nice hard-shell carrying case is also included. Comfort (8/10): One of the most striking features of the H118 is the odd triangular earpad shape – it is somewhat similar to the Monster DNA Pro, but narrower and more elongated. After several months with the headphones, I have to say it works pretty well. The cups are deep and have good freedom of motion. Combined with clamping force on the high side of average, this allows the thick padding to seal well all the way around the ear. Like most large, closed headphones with thick padding, the H118 tends to become a little sweaty with prolonged use. Isolation (8.5/10): The passive noise isolation of the ADL H118 is good thanks to the thick, well-sealing pads and closed-back earcups. Sound leakage out of the headphones is nil. Sound (8.75/10): The first headphone effort from Furutech, the ADL H118 offers a sound signature that falls somewhere between “traditional audiophile” and “studio headphone” – a lush and warm sound with very good bass and darker overall tonality. The bass is enhanced, with good extension and strong punch. Impact is about on-par with the famed Sennheiser HD25. There is some mid-bass emphasis but bloat is kept to a minimum, which is always a relief. Bass quality is actually a little better than with the V-Moda M-80 – tighter and cleaner, albeit with a bit less emphasis on sub-bass. The low-end emphasis and overall tonal tilt of the H118 give the headphone a very full-bodied midrange with a warm tonal character. Unsurprisingly, it lacks the perception of increased clarity that comes with brighter headphones – the HD25, for example, is a little clearer, whereas the V-Moda M-80 has similar clarity but slightly more midrange presence. Overall, considering the warm and smooth character of its sound, the clarity of the H118 is quite good. The treble of the H118 appears recessed at first listen, and even after extended listening the headphone still has a somewhat dark overall tone. The transition from the midrange is extremely smooth, and the relative lack of treble energy makes the headphones very forgiving. In comparison, the Sennheiser HD25 is brighter and more v-shaped overall, with treble that sounds a little tizzy and metallic next to the more relaxed H118. The ADL H118 also boasts a very decent soundstage for a set of closed cans, easily beating the smaller V-Moda M-80 and especially the forward and aggressive HD25. With the H118, there is more air between instruments, and the lack of congestion really helps it sound more refined than most other closed sets with similarly plentiful bass. The H118 is also quite easy to drive – not as efficient as the M-80, but still very consistent and plenty loud across different sources. Both the ADL H118 and Munitio’s flagship PRO40 model provide warm and bassy sound, but go about it in different ways. The PRO40 has more bass quantity, but lacks refinement in both the bass and the midrange. Its bass is boomy, and its mids sound muddy and muffled in comparison to the H118. Even the treble sounds a little smeared compared to the ADL set. The H118 has a tighter low end with less bloat and better overall clarity. It is not far behind the PRO40 in bass quantity and puts up a better performance in every other way on the sound front. I do prefer the mostly metal construction of the PRO40, and the carrying case that comes with it is among the best I’ve seen, but that doesn’t even begin to make up for the sonic deficiencies in comparison to the ADL H118. The Creative Aurvana Live! 2 – the warmer, bassier follow-up to the original Aurvana Live! – is likewise not too far from the H118 in sound signature. Its sound is warm and bass-heavy, but a little less full-bodied. The CAL!2 has slightly more bass, while the ADL H118 is a little tighter. The mids of the H118 are less affected by the bass and it sounds marginally clearer overall. The CAL!2 has a slightly thinner note presentation – not a bad thing in itself, but its treble is a touch “tizzy” and makes the H118 sound smoother and more natural in comparison. The Aurvana does provide a slightly more spacious, less closed-in soundstage presentation. It also boasts nearly faultless listening comfort, but lacks the noise isolation and solid construction of the H118. Unlike the two sets above, the Monster DNA Pro provides a major contrast to the H118 with its bright sound and bell-like clarity. The two headphones have such different sound signatures that each has a tendency to make the other sound flawed in comparison. The bass of the DNA Pro is less powerful but tighter, while the H118 sounds bassier and more muffled in the midrange. The H118 has a full-bodied sound with more filled-out lower mids, while the DNA Pro is somewhat thin-sounding, but clearer as well. In comparison to the H118, it has too much upper midrange presence while the H118 lacks a large amount of treble energy, sounding warmer and darker. The DNA Pro is also more efficient than the H118. Overall, I found the ADL unit to not be far behind the DNA Pro in clarity and bass control, and preferable on most other counts. 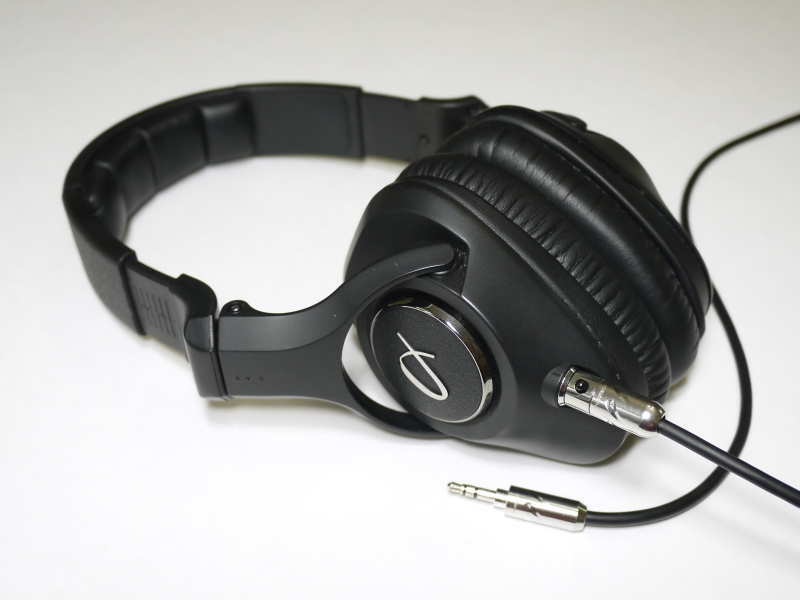 Value (8.5/10): The ADL H118 is a semi-portable headphone with a closed, circumaural form factor and warm, somewhat treble-shy sound with plentiful bass. The sound is quite refined, especially the lush and smooth midrange, and the headphones feel well put-together and isolate surprisingly well. The earcups are not very compact, but the elongated shape doesn’t sacrifice comfort. Overall, an easy recommendation for fans of warmer, darker-sounding headphones.